I really liked the cover of The Selection by Kiera Cass, mostly because the dress was pretty and the I liked the mirrored images. I liked the book--the writing is really engaging and upbeat, the plot had some good twists, and while it didn't have the emotional depth of The Hunger Games, it was a satisfying story that seemed simple at first but got more complex as you went along. I'll pick up the sequel if I have the time and it pulls me in as easily as The Selection did. It's pretty! I like how it matches the first book (it's a pet peeve of mine when cover designs change before all of the books of a series are published), but I think this one matches the first book a little too closely, sort of like the Matched trilogy. What do you guys think? Are you getting a little tired of all the pretty dresses on YA covers? Tell me about it with cover changes! I'm still upset that Jeri Smith-Ready's Shade trilogy changed so my first two books don't match the third! But this one is lovely-I don't know if I like the red as much as the blue but they're obviously part of the same series. The cover is very pretty! And yay, she's not smelling her armpit!! Pretty cover. 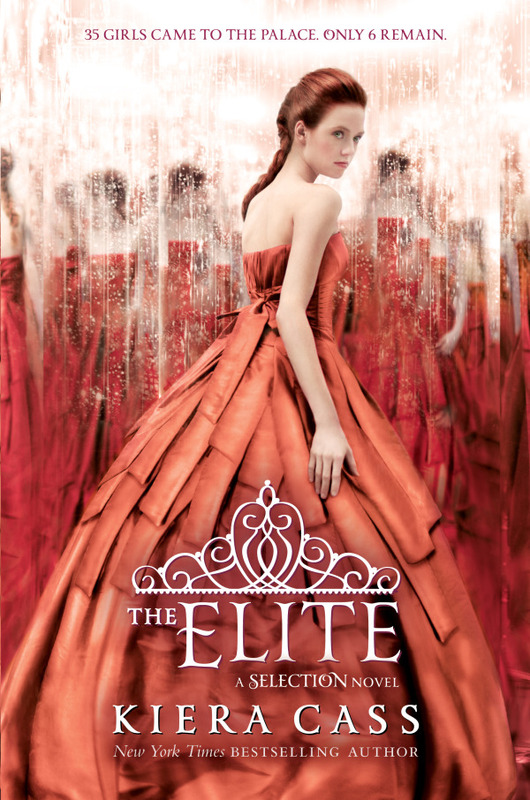 While the dress theme fits this series perfectly, I admit I'm getting tired of this trend in YA. I love this series. The entire series is like the bachelorette meets dystopian society and for some reason that really appeals to me. I cannot wait until they come out with the next book!